Rochford is a small town just north of Southend-on-Sea, It is on the East Anglia train line which runs between Southend Victoria and London Liverpool Street. 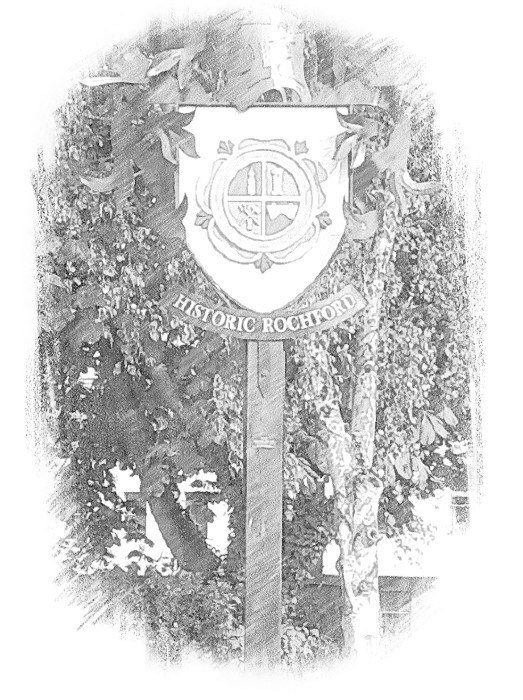 Rochford takes its name from Rochefort, Old English for Ford of the Hunting Dogs. The River Roach which passes just south of the town was originally called the Walfleet (Creek of the foreigners). It was renamed the Roach in what is known as a back formation. This is where it is assumed that Rochford means ford over the River Roach. Also confusingly within Rochfords borders lies London Southend Airport. Southend Airport was officially opened in 1935. In 1939 it was then requisitioned by the Air Ministry and renamed RAF Rochford to be used as a base for a fighter squadron, No.11 Group RAF. It remained RAF Rochford until 1946. Now it flies holiday makers to various European destinations. John Banyard founder of the chapel of Peculiar people, who practiced a lively form of worship bound by the literal interpretation of the King James Bible, banning both frivolity and medicine. John Baynard is Buried in Saint Andrews church Rochford. Which is but a golf balls throw from Rochford hall, home of the Boleyn family. This Geocache is part of the village sign series.